Office Depot & Staples: $10 off a $25 Purchase! 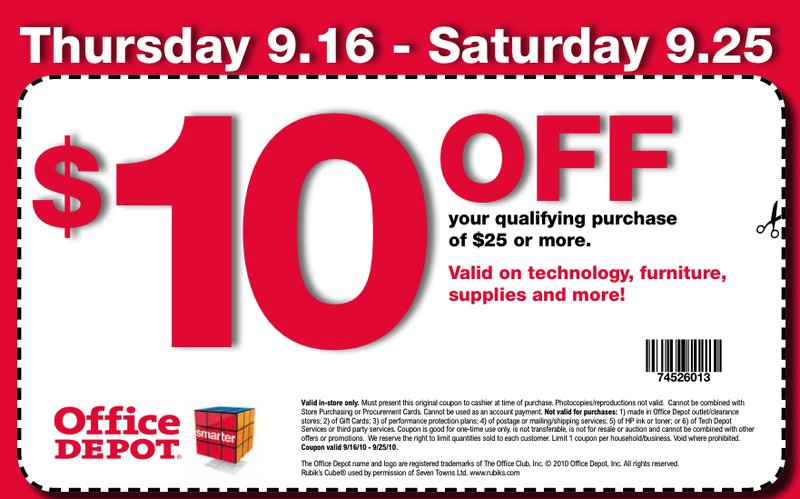 Office Depot has a new $10 off a $25 purchase coupon on their website! They are having a sale of up to 75% on their back to school supplies, so you should be able to get some great deals! Thanks Hip 2 Save!